The SIOP Young Investigator Network (YI-NET) has been busy preparing for the upcoming annual congress in Washington DC as well as launching several new projects to continue to build the YI-NET community. The SIOP Young Investigator NETwork (YI-NET) Educational Day program will be held on Thursday, October 12, 2017 at the annual SIOP congress in Washington DC. The programme for the day is now complete, with various lectures from engaging speakers, an expert lunch where YIs can meet key leaders in their fields and workshops to learn all about important research methodologies. Visit the SIOP 2017 website and view the programme for further details. Watch our social media feed for photos and biographies of the experts who are coming along and be sure to sign up early so that you can meet everyone. Also during the annual congress in Washington DC, we will be holding the 3rd annual Junior Investigator Collaborative Event on Thursday, October 12th, following the Educational Day sessions and the congress Opening Ceremony. The event will be held at a local venue and will provide an opportunity for networking among junior and senior investigators. The details of the event will be announced shortly. We invite you to interact with our Young Investigators community in the SIOP YI-NET blog! 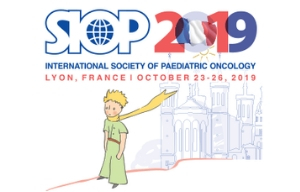 Some recent discussion topics are: “Top Tips on writing your thesis”, “Top Five Reasons to Attend the SIOP YI Educational Day”, “My Experience with Grant Writing”, “How I Discovered my Research Interest in Paediatric Oncology” and “Doing research in a developing country”. Keep an eye on the posts, comment and share with your colleagues! Also if you would like to get involved in the SIOP YI Network, here you can learn more about our group and find helpful information on how to become active in our community. The new SIOP YI-NET mentorship program has successfully launched in Latin America! The purpose of this program is to develop and grow YIs working in pediatric oncology and to provide an opportunity for more experienced researchers to share their experiences and insight with junior scientists and clinicians. The program will soon expand to western Europe, with plans to ultimately develop into a global mentorship program. To make this project successful need we need dedicated mentors. Please contact us if you are interested in mentoring talented future colleagues! 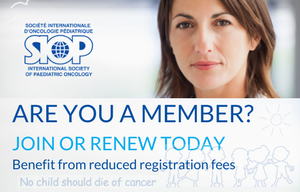 Follow the SIOP YI-NET on Facebook, Twitter, Instagram, and LinkedIn to keep up on the activities of SIOP and the SIOP YI-NET, important scientific information, training opportunities, the latest relevant papers published by SIOP YIs, to be alerted of new blog posts, and, finally, to increase childhood cancer awareness by building a SIOP YI community. We now have 2000+ followers from 44 different countries! We’re looking forward to meeting with old friends and making new ones at SIOP 2017 in Washington DC – see you there!